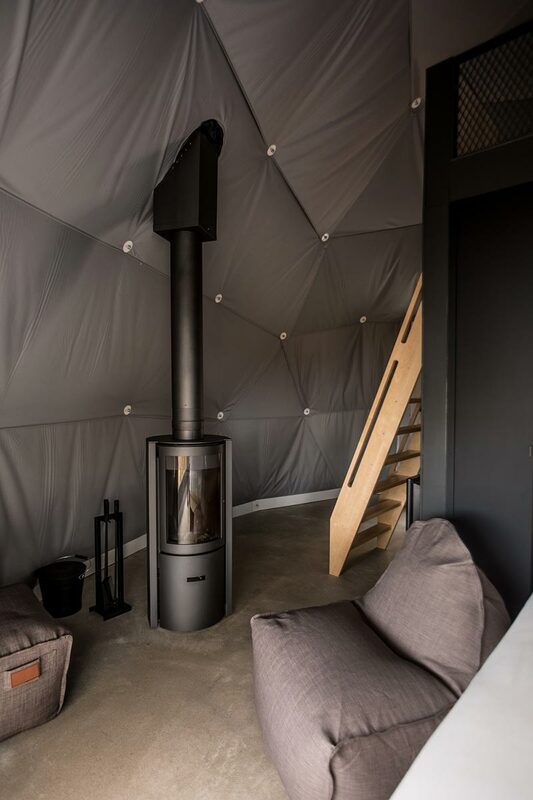 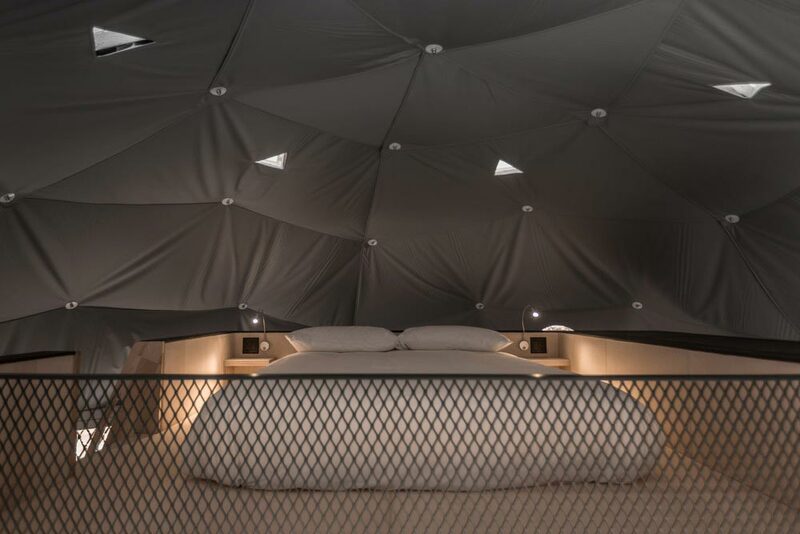 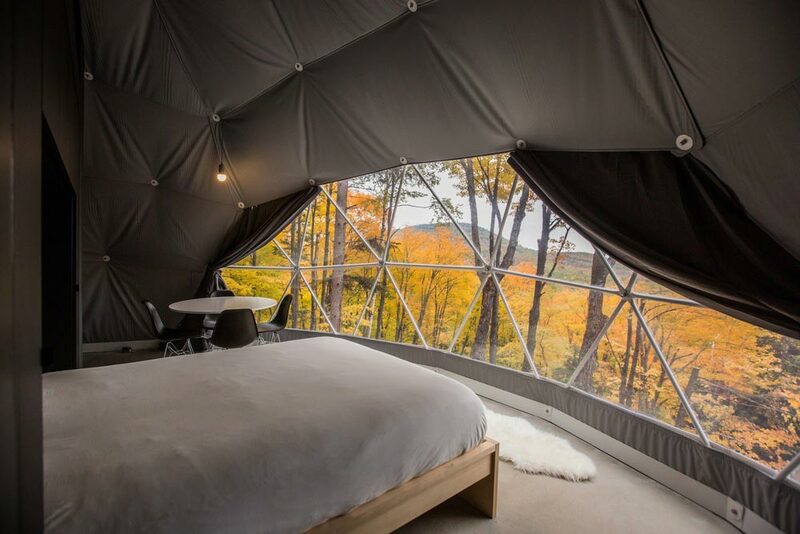 Technically considered “glamping”, these wonderful Eco Luxury Domes take that term to the next level. 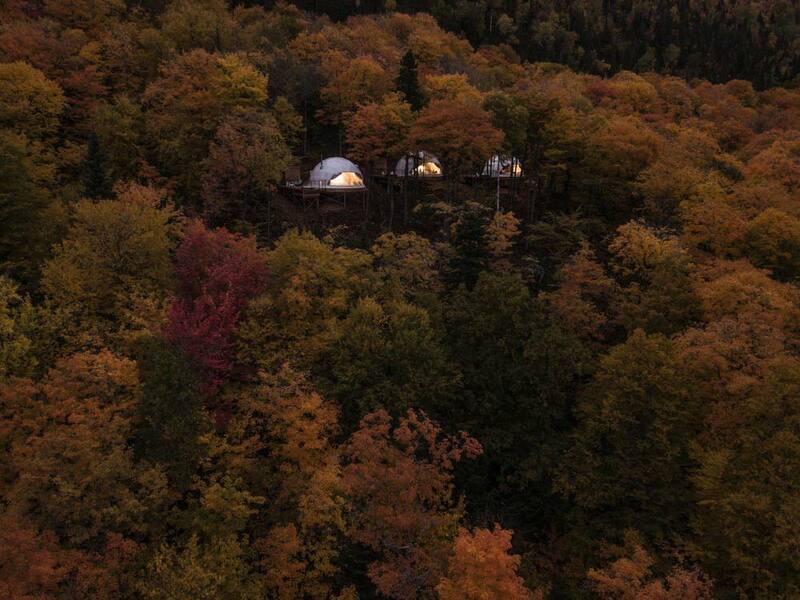 Nestled in Petite-Rivière-Saint-François, on the outskirts of Quebec City, Canada, sits three of these boutique getaways; offering travelers a twist on traditional accommodations, while giving them an opportunity to take in each spectacular season Canadian’s enjoy. 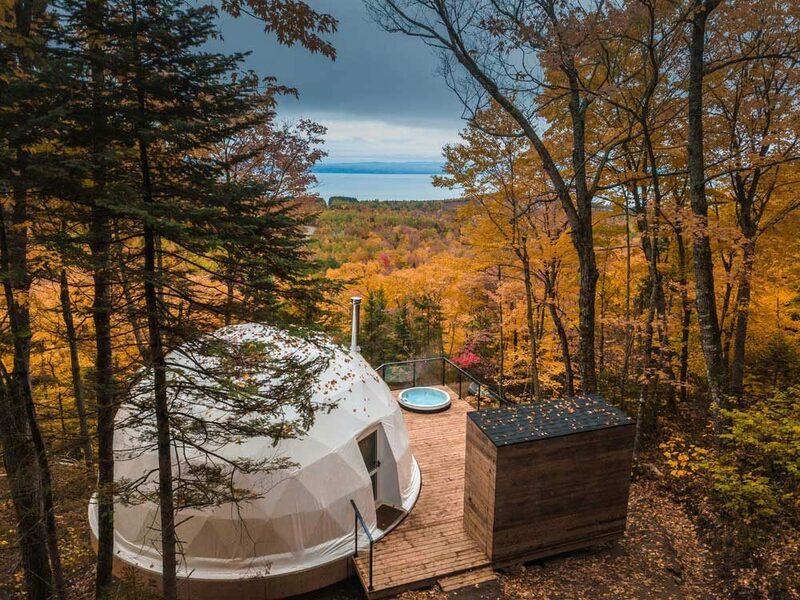 Intended to integrate land with luxury, each dome comes equipped with a wooden patio, set with individual spas that look out onto the lush landscape. 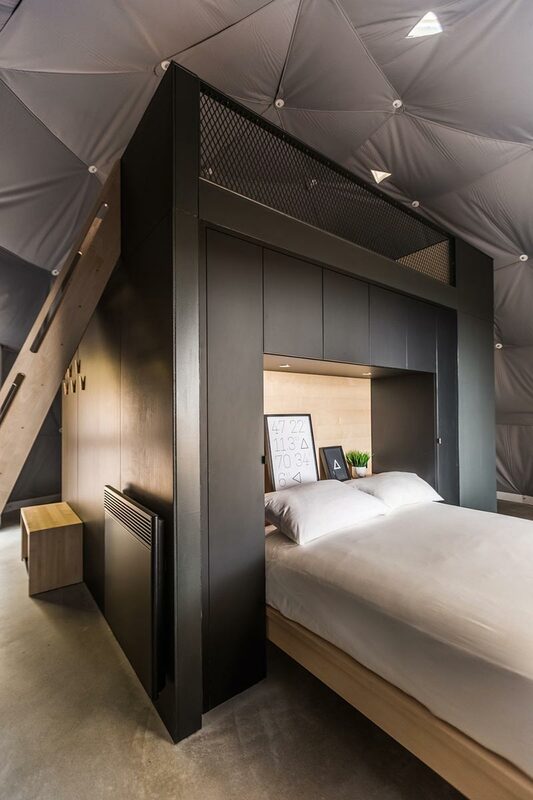 A similar view can be seen through each room via uniquely shaped windows surrounded by cushion-like ceilings, set to enjoy the St. Lawrence River and south-facing natural light. 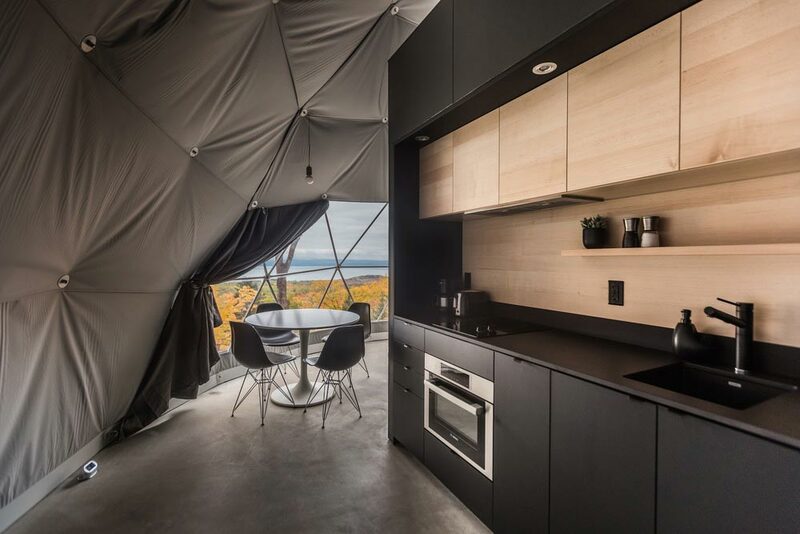 Light wood and dark black cabinetry fashion these uniquely formed domes, while radiant floor heating and tube-like fireplaces heat each space to the right degree of dreamy. 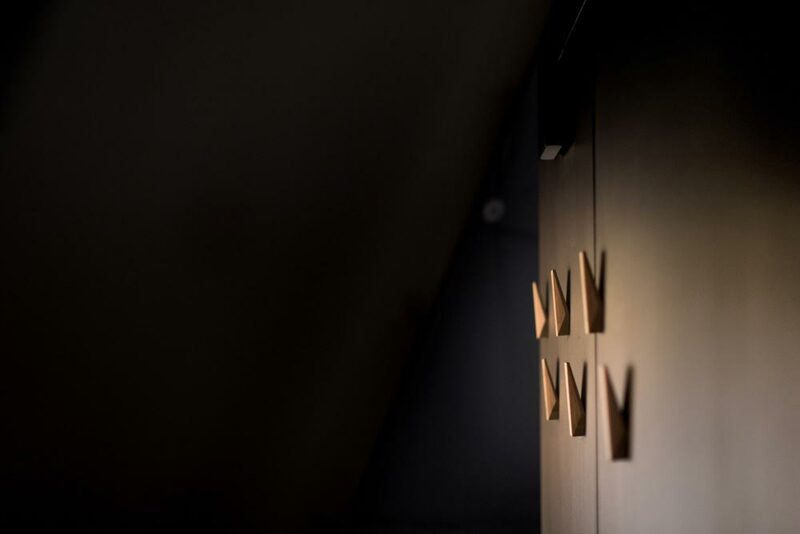 With upper and lower floor sleeping areas via a boat-style staircase, staging your dreams is just steps away from lake, land and sky – changing the traditional ideals of luxury into innovative wonders.